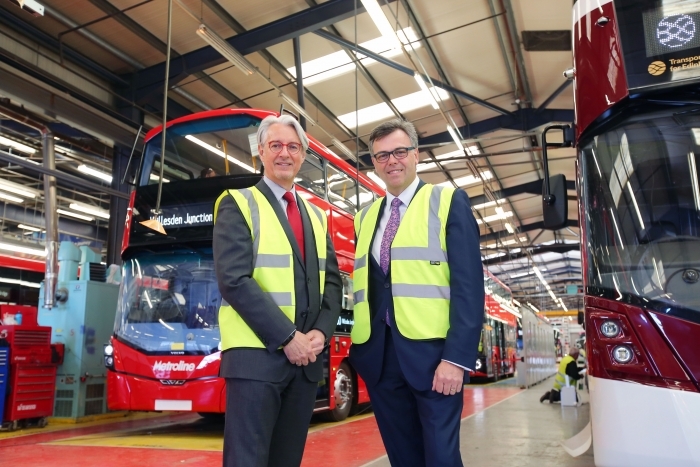 Bus manufacturer, Wrightbus International have announced a £5.5 million investment to develop and manufacture electric zero emission vehicles for international markets, and to train and upskill staff. This latest investment announcement comes a few months after they announced plans to build a new factory to support chassis assembly. Invest Northern Ireland (Invest NI) has offered the Ballymena company over £1.4 million towards its research and development activities and to support Wrightbus’ investment in skills and training. This support is part-funded by the European Regional Development Fund. Mark Nodder, Chairman and CEO of The Wrights Group said: “This investment marks an exciting new stage in the future direction of the business. Our ambition is to grow as a world class designer and manufacturer of public transport vehicles and in the process evolve into a major international supplier to the worldwide bus market. “Invest NI’s support with our research and development and training activities is enabling us to scale our business at the optimum pace to grow our customer base in international markets. Commenting on the investment, CEO of Invest NI, Alastair Hamilton said: “The Wrights Group is an internationally renowned advanced engineering business and a significant employer in County Antrim.